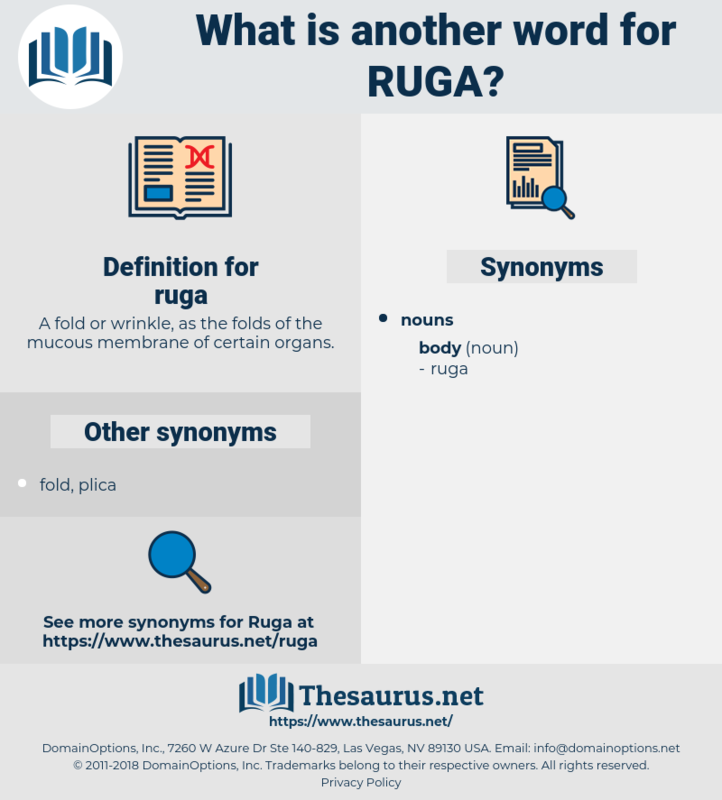 What is another word for ruga? A fold or wrinkle, as the folds of the mucous membrane of certain organs. In the early years of last century many popular varieties were developed which are still welcome in our gardens, such as Alice Gray, Dundee Rambler, Ruga, Queen of the Belgians, Splendens or Myrrh - scented. 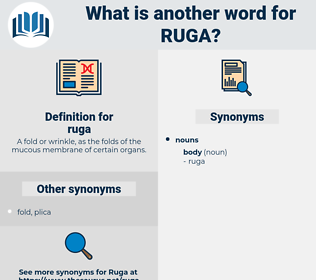 reassess, rejig, rico, roughage, recce, rouge, rock, rocky, rakish, rask, rehearse, rye whiskey, russia, riches, riga, rage, rosa, ragee, ruscaceae, rose, roguish, rig, rous, rise, rousseau, rickshaw, risky, ruscus, resh, rush, rachischisis, raucous, risk, re-argue, rework, ras, rug, ross sea, raceway, reich, Rus, ruckus, rash, rhesus, rag week, rhus, reggae, razz, rugose, reecho, recco, rescue, rehouse, rice, resew, rag, racy, RG, rejoice, rosaceae, reuse, rough-house, row house, reissue, recess, rough-hew, recuse, rough, race, rook, rush away, rosy, rockchuck, roughhouse, rich, Reyes, ragusa, rhexia, rosaceous, rushy, raise, roughish, rissa, rose acacia, rusk, rioja, Rex, ruse, rack, reccy, roach, rouse, risque, rick, Rya Rug, ross, rye whisky, rockies, ruck, resize, rajah, rase, reseau, richea, rehash, r.c., reach, rorschach, rosacea, risc, reek, raj, res, roux, rock cake, rucksack, re-echo, rake, rococo, roseau, raree-show, rachis, rogue, roccus, ragi, ricksha, raze, rickey, raja, rookie, roc.